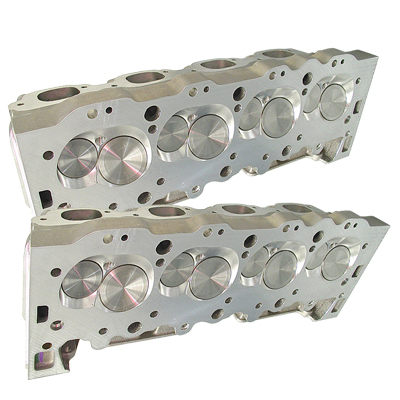 We Start Every Custom Build Of Our Cylinder Heads With Brand New Dart Castings, Proprietary Porting And Specifically Selected Components - These Heads Are Never "Factory Assembled"! 18° Big Chief heads with PAC Racing Triple Springs and Titanium Valves and Retainers. The most powerful "Nitrous Friendly" 18° Head available today!